3 out the villain Gloucester. 5 Pluck out his eyes. 14 How now! where's the king? 20 To have well-armed friends. 20 Get horses for your mistress. 21 Farewell, sweet lord, and sister. Exeunt [GONERIL, EDMUND, and OSWALD]. 23 Pinion him like a thief, bring him before us. 27 May blame, but not control. Who's there? the traitor? 28 Ingrateful fox! 'tis he. 29 Bind fast his corky arms. 31 You are my guests: do me no foul play, friends. 32 Bind him, I say. 32 Hard, hard. O filthy traitor! 33 Unmerciful lady as you are, I'm none. plucks his beard This is an act of extreme contempt. 36 To pluck me by the beard. 37 So white, and such a traitor! 41 You should not ruffle thus. What will you do? 42 Come, sir, what letters had you late from France? 43 Be simple-answer'd, for we know the truth. 45 Late footed in the kingdom? 46 To whose hands have you sent the lunatic king? 49 And not from one opposed. 50 Where hast thou sent the king? 53 Wherefore to Dover? Let him first answer that. I am tied to the stake, and I must stand the course. 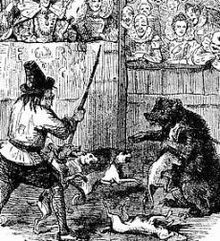 This is an image from bear-baiting, in which a bear tied to a stake had to fight off a pack of dogs. 54 I am tied to the stake, and I must stand the course. 55 Wherefore to Dover, sir? 58 In his anointed flesh stick boarish fangs. 62 Yet, poor old heart, he holp the heavens to rain. 66 The winged vengeance overtake such children. 67 See't shalt thou never. Fellows, hold the chair. 68 Upon these eyes of thine I'll set my foot. 70 Give me some help! 70 O cruel! O you gods! the other too i.e., do the other one too! 71 One side will mock another; the other too. 75 Than now to bid you hold. 75 How now, you dog! 77 I'd shake it on this quarrel. What do you mean? i.e., What do you think you are doing? ; How dare you! 75 What do you mean? Nay, then, come on i.e., OK, let's fight. 79 Nay, then, come on, and take the chance of anger. 80 Give me thy sword. A peasant stand up thus! in the back, and so] kills him. 82 To see some mischief on him. O! 83 Lest it see more, prevent it. Out, vile jelly! 84 Where is thy lustre now? 85 All dark and comfortless. Where's my son Edmund? 87 To quit this horrid act. Out An exclamation of anger or impatience. 90 Who is too good to pity thee. 91 O my follies! then Edgar was abused. 92 Kind gods, forgive me that, and prosper him! 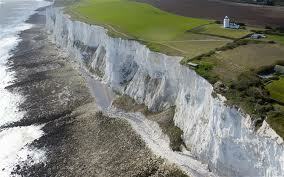 Dover Dover's white cliffs face France across the narrowest part of the English Channel. This is the place where King Lear has been taken, and where the King of France will land with his army. 94 His way to Dover. How is't, my lord? how look you? How is it with you? How do you feel? 94 How is't, my lord? how look you? 95 I have received a hurt: follow me, lady. 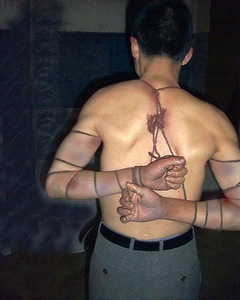 98 Untimely comes this hurt: give me your arm. 100 If this man come to good. Women will all turn monsters. Because they will not fear punishment for their crimes. 102 Women will all turn monsters. the old earl Gloucester (Edmund is the new earl.) 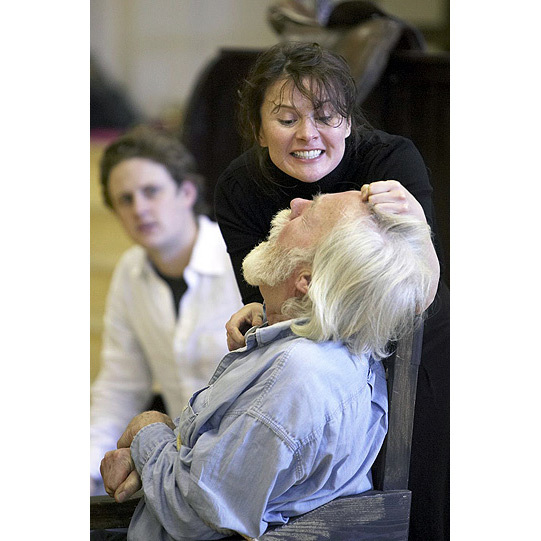 | Bedlam madman; i.e., Edgar, disguised as "Poor Tom." his roguish madness / Allows itself to any thing. i.e., the fact that he is a vagabond madman allows him to get away with anything Perhaps the servant thinks that in the company of a madman Gloucester will be relatively safe from detection by his enemies. 105 Allows itself to any thing. 107 To apply to his bleeding face. Now, heaven help him!